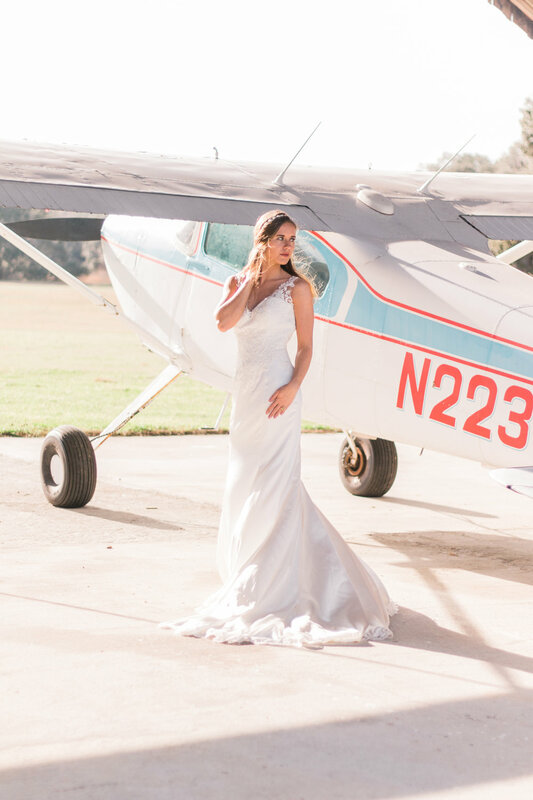 Vintage suitcases, a massive bouquet, the ruins of a plantation home, and a getaway plane: if you're looking for some wedding inspiration like nothing you've seen before, you've come to the right place! 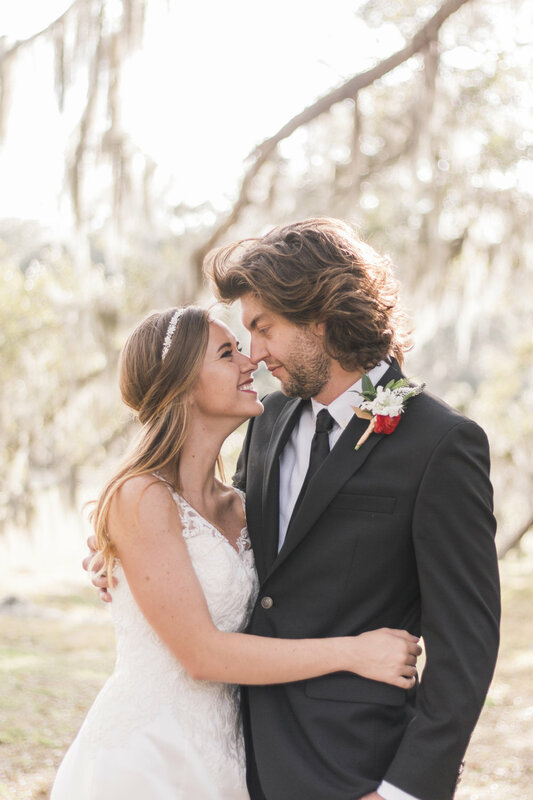 Ashlynn Miller, owner of Bluebell Photography, dreamed up this incredible styled shoot at Huspa Plantation, a sprawling property nestled among the oak trees of Seabrook, South Carolina. Guests to the plantation are drawn to its natural beauty as well as the haunting ruins of the original home (a fire in 1976 destroyed all but a few brick fireplaces). Today, Huspa Plantation hosts weddings and other special events throughout the year. "Sometime we are inspired by other artists to create our very own work of art. That's exactly what happened to me when I heard the song, Hudson Commodore by Jason Isbell. I immediately knew I had to plan a stylized elopement inspired by vintage wealth while capturing the essence of freedom." "Huspa Plantation had exactly what I was searching for. I as so blessed to have found such a remarkable team of strong women to help pull this shoot together. From my sweet mom traveling down to Seabrook with me to Briana Tucker who stepped in literally last minute to be our hair and makeup artist, these ladies were incredible. I am so thankful for how this gorgeous shoot turned out. I could definitely live on this plantation! " "Huspa Plantation has the most breath taking skeleton fire places in their courtyard. We were able to set up the floral arrangements inside the fireplace which were a complete dream. Elizabeth's dress from Low Country Bride and Gown was so stunning with buttons trailing down to the train. Our bride and groom table were vintage pieces from Blue Surf Design and the decor is all vintage inspired.